It is still very early in the process, with those bills now headed to the House and Senate. Three bills that would bring tolls back to Connecticut were moved out of the General Assembly Transportation Committee on Wednesday. 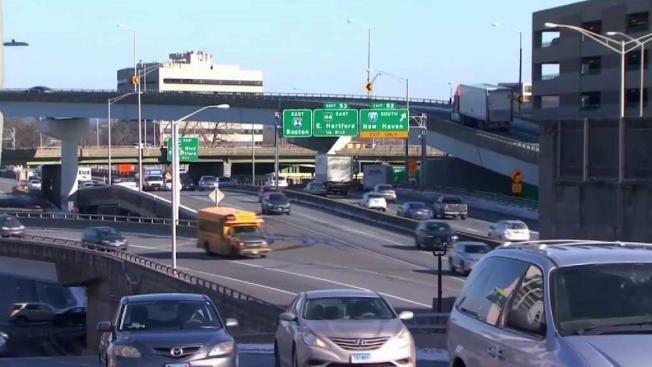 Connecticut lawmakers in committee on Wednesday took a significant step in voting up a series of bills that would make tolls a reality in Connecticut. It is still very early in the process, with those bills now headed to the House and Senate. It remains unclear whether the full General Assembly will pass a tolling bill this year, considering many legislators have deep apprehension about levying a new tax on drivers. There was plenty of debate by lawmakers for and against the bills and some say there are still too many unanswered questions. “We have gotten numbers with estimations… So there is information out there on dollar figures. You may not like them, but the numbers are out there in terms of what tolls could potentially bring in,” said Sen. Carlo Leone, the deputy president pro tempore. “I need to know how much I’m going to tell the constituent they’re going to spend. If I can’t do that, I think it’s irresponsible to vote for that something,” Rep. Gail Lavielle (R- Fairfield County) said. Debate over one of the three bills that would place tolls on several major Connecticut roadways drew strong opinions from lawmakers on both sides of the aisle. The Transportation Committee voted 23-13 to advance Senate Bill 423, which would charge drivers on I-84, I-91, I-95, and Route 15. The bill requires the state to create a plan to implement tolls before submitting it to the federal government. Lawmakers supporting tolls said as much as drivers may not want to pay another car-related bill in our state, tolls are inevitable to paying for fixing our crumbling infrastructure. But those opposed say passing the costs along to residents and anyone driving through our state isn’t the way to solve these problems. “I would ask every driver that drives in every other state on the eastern seaboard that goes through tolls if they have difficulty paying for those tolls. You pay for them and you contribute to the maintaining of the infrastructure of those states,” Leone said. “We have to have a plan in place to go to the feds, but I would submit to you we should get more of a plan in place before going to the feds,” Rep. Tom O’Dea (R-New Canaan) said. If this were to pass the legislature, there’s still planning and approvals that would need to happen, so it would still be several years before drivers would actually pay tolls on our state’s roads. Lawmakers also voted to move forward House Bill 7280, and House Bill 7202 which also regard electronic tolling. All three bills would toll both cars and trucks on Interstates 95, 91, 84 and parts of Route 15. In a joint statement, Senate Republican Leader Len Fasano (R-North Haven) and Sen. Henri Martin (R-Bristol) expressed disappointment in the vote. “Tolls are a tax – and a regressive one at that. Approving tolls seals the fate of our transportation system by allowing the governor to bankrupt our Special Transportation Fund and put all new infrastructure projects on hold for at least the next five years. When toll revenue eventually starts to come in, it will have an immediate negative impact on the middle class and individuals with low and fixed incomes," the statement read in part.